Located on the edge of a tropical lagoon on Gatokae Island, the Wilderness Lodge is an idyllic destination to escape from everyday life. Situated near Peava village, the lodge features traditional construction using sago palm leaf, wild bitalnat palm and village-sawn hardwood with exotic timber and pandanus mat interior. Catering for a maximum of 12 guests, the lodge has been designed to meld the atmosphere of the Gatokae rainforest and ocean with the lifestyle of the neighbouring small village whilst retaining Western comforts and convenience. Oceanfront bungalows feature traditional sago palm leaf roofs and polished hardwood interiors for the ultimate in cool tropical living. The lodge has primce access to the three wild and uninhabited islands of Bulo, MaleMale, and Kicha, the 2900 foot jungle-clad peak of Mt Mariu, and ancient fortified villages and ceremonial sites. Explore the incredibly diverse marine and terrestrial ecosystems and the fascinating old culture of ritual headhunting which persisted into the twentieth century. "We had an amazing time in the Solomons! We have travelled to a lot of different places around the world and we both decided that this was up there with one of the best holidays we have had. The accommodation at the wilderness lodge was AMAZING. The people running the lodge and the guides was the best part of the holiday. They were all so friendly and welcoming. We had the most relaxing, peaceful, fun, beautiful holiday. We have already been recommending The Wilderness Lodge & Dive Adventures to all our friends, and will continue to. Thanks so much for everything, We will be back for more! " Wilderness is accessed by boat transfer from Seghe [EGM] Airfield in Marovo Lagoon - transfer is by 23 foot 40HP Yamaha longboat and typically takes approx 2 hours through the incredible scenery of Marovo Lagoon. Please note transfers are not available Friday & Saturday in respect of village rest day. Transfers are also available to connect with Uepi Island Resort. For divers a special Wilderness-Uepi dive transfer is available which provides a unique daytrip transfer with two dives on the marovo barrier islands and picnic enroute. Power:The lodge has a solar power system with 240V/110V inverter for charging cameras etc. Australian style power points. Meals: Tariff is inclusive of all meals which feature local organic produce and seafood, and traditional and Pacific themes with an accent on health. Phones: Satellite telephone available should need or emergency arise. Credit Card Facilities: Visa and MasterCard facility available	for payment of Lodge tariff, tours and drinks. Limited Solomon currency is usually available for exchange at the Lodge. The lodge has sleeping quarters comprising of two rooms. New 2 Ocean Front Bungalows - each offer two extremely comfortable queen beds with privacy curtains for two couples and a foldout sofabed for families or a third single guest. Locally handcrafted traditional sago palm leaf roofs and hardwood floors combine with timber and glass louvered walls, sliding glass doors and stunning timber finishings to provide the ultimate in cool tropical living. Exotic hardwood interiors feature an ensuite vanity and toilet and a kitchenette, while solar arrays power the lighting, personal fans and any charging of cameras or other devices you just can't live without. Private, outdoor, stonework showers provide an unforgettable way to cool down after long days in the sun, sea and rainforest. Comfortable timber deck chairs and handmade mayan hammocks enjoy epic ocean views from the wide open beachfront verandah and decking. Simply step off your deck and into the crystal clear lagoon. Hear the underwater sound show of distant Kavachi submarine volcano as curious grey reef sharks, schools of surgeonfish and midnight snapper drift along this coral covered vertical point. Sit in the edge of the current and watch huge resident schools of bigeye trevally, a procession of spanish mackerel, dogtooth tuna, barracuda, batfish, turtles (all the big stuff) - occasionally silvertip sharks, hammerheads, even sailfish and a lot of nervous fusileers. Depth 5m - 40m. A vast overhanging rockface completely covered with shade-loving pure white soft corals, combined with the sounds of distant Kavachi submarine volcano, makes for an hallucinatory spectacle and an exciting, unique dive. Facing straight out into the deep ocean, keep an eye out for grey reef and silvertip sharks, dogtooth tuna and spanish mackerel. Ascend along the bluffs and canyons to a dip in the reef edge, home a large school of barracuda interspersed with hundreds of equally curious surgeonfish, midnight snapper and trevally in only 5 metres. On the exposed southern side of Kicha island, this dive requires fine weather. Often inaccessible during the June thru September tradewind season. Depth 5m - 35m. An epic, long drift dive with several corners allowing you to tuck in out of the current and check out the deep clefts and overhangs full of life - massive fans and the richest soft corals. Lots of pelagic action - sharks, barracuda, spanish mackerel, GTs, trevally, and some of the biggest dogtooth tuna. Only 5 minutes from the Lodge. A reef and rainforest point dive off Bulo Island. Descend along a series of overhangs and caves packed with life. Drift around the deep, vertical point covered in fans, corals and invertebrates. Hanging off the point are large schools of fish. Silvertips and hammerheads may come in to check you out. A deep cleft cuts back into the rainforest. End the dive on a rich coral wall with overhanging rainforest canopy. Depth 40+ metres. Visitors have the world's best coral reefs and most prolific and varied fish life, lush tropical rainforest, and spectacular scenery right on their doorstep. Snorkelling around the waters is suitable for all levels. Enjoy a self-guided coastal walk with endless natural and cultural photograph opportunities. Take in the opportunity to learn about the unique culture and history from the village people. The lodge has prime access to the three wild and uninhabited islands of Bulo, MaleMale, and Kicha, the 2900 foot jungle-clad peak of Mt Mariu, and ancient fortified villages and ceremonial sites. Enjoy a motor canoe trip up the wild Gevala River, explore ancient fortified villages deep in the rainforest, visit the village gardens or even a boat trip to the incredible scenery of Gatokae and Marovo Lagoon. Freediving - Experience freediving and spearing as it is meant to be in clear, warm 27.5C to 31C [81F to 88F] year-round oceanic water. No thick wetsuits and heavy weights to slow you down. Absolutely pristine reefs and the greatest marine biodiversity on Earth. Diving - The Wilderness Lodge has a small, fully equipped dive centre (with a limited amount of gear hire) offering daily dives (except on Saturday’s - the Sabbath) and Try Dive and Open Water dive courses. There are over 50 dive sites waiting to be explored around Gatokae and with a maximum of 6 divers the diving is guaranteed to be uncrowded! All rates and specials are subject to change and can be withdrawn at any time. Fuel surcharges for transfers, tours and boat activities may apply. We highly recommend for visitors to have flights and transfers booked at the same time as accommodation. 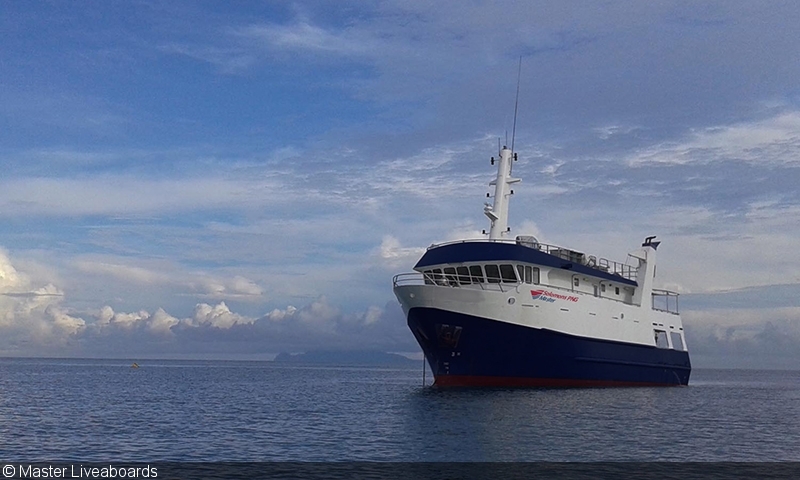 "At the present most of the transfers will have to be done from Seghe or Uepi Island Resort. Please note airport transfers are not available Friday & Saturday in respect of village rest day. Boat activities including diving are not available on Saturday"